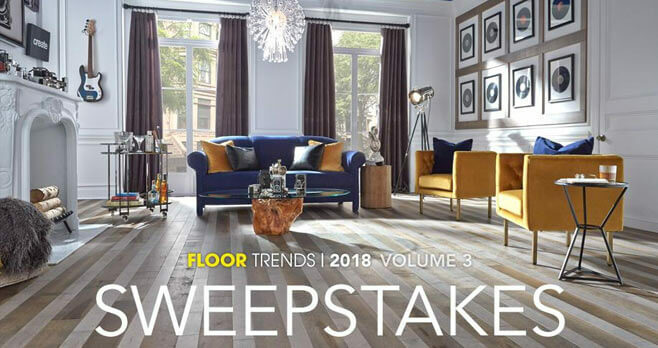 The Lumber Liquidators Floor of the Season Sweepstakes is open only to legal U.S. residents residing in the 48 contiguous United States and the District of Columbia, who are at least 18 years of age or the age of majority in their respective jurisdictions of permanent residence (19 years of age in Alabama and Nebraska, 21 years of age in Mississippi), whichever is older, as of the date of entry. Sweepstakes begins at 6:00:01 AM ET on September 5, 2018 and ends at 11:59:59 PM ET on October 17, 2018. LIMIT ONE (1) ENTRY PER PERSON. The grand prize consists of a $5,000 Lumber Liquidators gift card. Ty’s Trends Sweepstakes: Vote To Win!